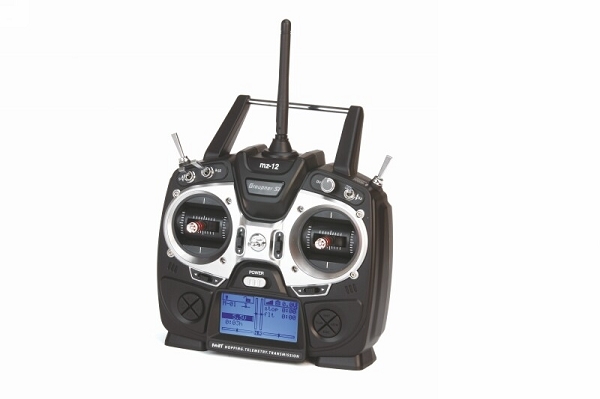 This is Graupner/SJ mz-12 HoTT 2.4GHz 6 CH transmitter. 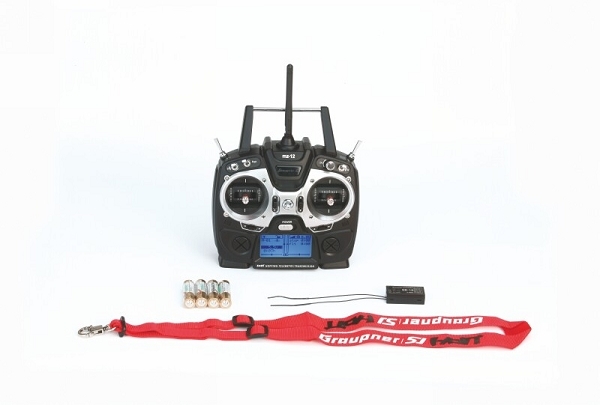 It is Graupner/SJ’s unique telemetry technology in 2.4GHz signal protocol that supports bi-directional data transmission and gives user real-time information. The use of up to 75 frequency hopping channels ensures extreme operating reliability and immunity to external interference thanks to optimized frequency hopping broad channel sequence. Through the telemetry function, you may check receiver's consumption voltage, temperature and also program the telemetry function. By using optional sensor, brushless control + T ESC or HoTT sensor module, you may get the real-time data such as RPM, voltage, current, temperature, and warning. 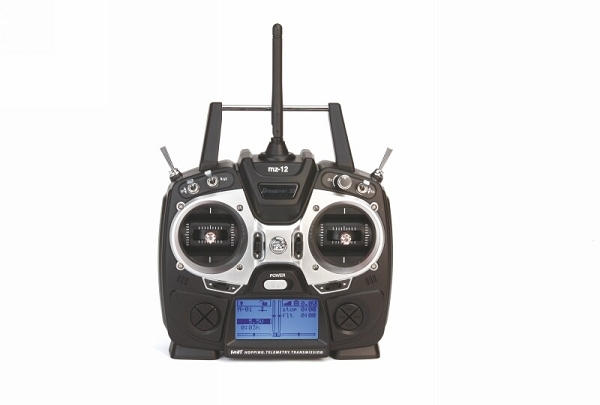 Graupner/SJ mz-12 combines an easy-to-use design with the incredible control of Graupner/SJ HoTT technology that is an ideal choice for anyone who needs high quality 6 channel radio. • Real-time telemetry analysis for Optional Brushless Control telemetry ESC such as RPM, voltage, consumption current, temperature, warning.